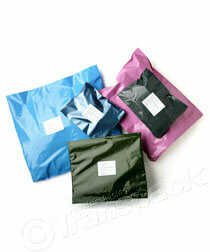 Postage bags including Jiffy bags, bubble bags, and plastic mailing bags - both clear and opaque in various colours and sizes. 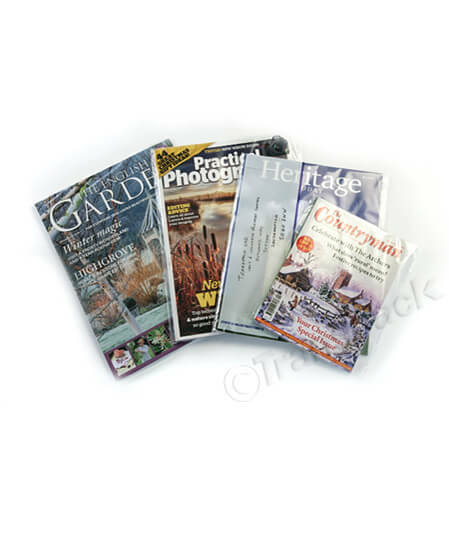 All polythene mailing bags are recyclable and we also have a clear biodegradable mailing bag. For help determining the right size for you please call us or request a free sample. Watch our video about "Mailing Bags" - use the full screen option to see in the best quality. At Transpack we stock polythene mailing bags in clear, grey, pink, metallic blue, bright blue and dark green for all your mail order products. All these mailing bags are medium duty, 60 micron to avoid the product showing through the bag, with a strong and permanent self-seal strip for security. 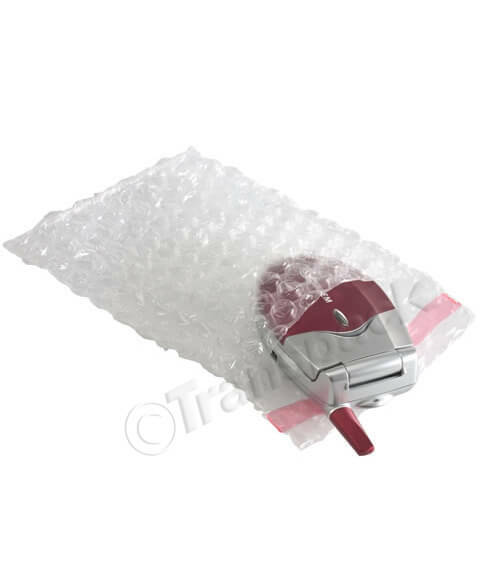 I put this mouse inside one of our bubble bags for added protection. If you’d like to see more information on those, see the video on the bubble bags page of the website. The bags seal by tearing off the strip and firmly pressing into place. The bonds take 10 to 15 seconds to hold. They are suitable for most mail order products such as gifts, boxed items, toys, sports goods, garments and hardware, providing they are not too heavy – in which case we'd recommend using our Ultra Heavy Duty Grey Mailing Bags, these are 90 micron and they are very strong. They are ideal for sending out heavier products. They also have a very secure permanent super tack self adhesive tamper proof strip. As I said earlier, the bonds take 10 to 15 seconds to hold. Have a look at this one I did earlier, it's really strong. Our Clear Mailers are 35 micron and are available in C3, C4 and C5. The range includes a C4 Mailer with a Write-On Panel for easy addressing and a 70 micron heavy duty version too, for bulkier, larger deliveries. When packing mailing bags, always protect fragile and brittle objects – for that, we'd recommend bubble bags, tissue paper or bubble wrap.